That's right Kanye and Jay-Z, you better watch that throne! Make sure it sparkles with manly glitter and glows in the dark... Use your toothbrushes to scrub off the gooey bacteria! "Huh Frosty? Why would two famous rappers need to clean a throne? What?" Obviously it's because Mr. A-B-C-D-E-F-G-H-I-J-K-L-M-N-O-P-Q-R-S-T-U-V-W-X-Y-Z (Ahem, Matbolabc for short!) won the final challenge of Neighborhood Survival! "Wahoo we won! Yeah! Party! Rock and roll! Let's shuffle everyday!" Shut your trap anonymous voice, it's not over yet! It is time for everyone (Yes, I am talking to you!) 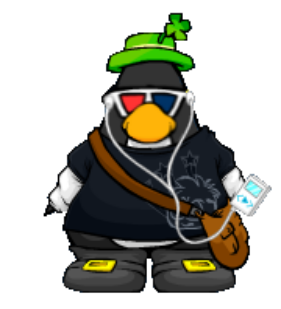 involved in Club Penguin Neighborhood to vote in the winner of Season 2. Who did the overall best job? Who deserves to walk away with a 3 month membership? As most people know, I joined this season on week 5 of the competition. I'd like to clarify that I contributed 3 out of the 4 challenges I missed prior to joining the season. Week 1 I made a cereal box, week 3 I played for my own highscores, and week 4 I was a fillin for Molly and actually beat Bumble in our round. Ever since I joined the season I have given my all and shown up with nothing less, I won a challenge for my team on my own which was very difficult. Also, I was the reason Wiiwiiwii1 won the bonus challenge in week 9 because I scored half the points in the whole competition. Also, I got 2nd place in challenges 11, 12, AND 13... and I just won challenge 14 with a video I put my all into. 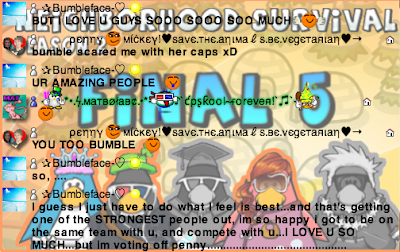 I helped form one of the most successful alliances in the history of CPN... Bumble and I have fought side by side all along, and our plans to get to the end have finally come true. I made evictions in all honesty, and I felt incredibly terrible after every vote... I truly love all my friends I have made here and even if I don't win, I won't leave empty handed because I have formed even closer friendships with so many people.. Friendship is more important than any membership, and at the end of the day I truly hope that people see how important it is to me. Competition will never get in the way of any friendship I have, because in my life my friends and family come first. The whole purpose for competing in this season was to win a membership for my little brother Austinm and to have one last shot at what I truly love to do. 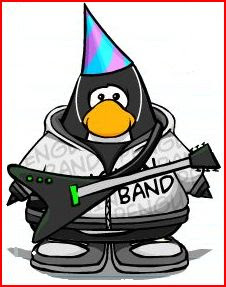 Although he no longer has an interest in Club Penguin, I will be giving all 3 of the memberships to my friends. All in all, I've been a strong player all along, I've played a clean game, I have not been voted for elimination a single time all season, and I have fought my heart out week after week and I truly think I deserve to win. Please vote with your heart on who you truly thinks deserves it!" Bumbleface says, "I've been in a few game shows before this, none like this tho, so for this being one of my first times really competing with no experience..And getting to final 2, I think I did really good. I've came to EVERY challenge, during times when I really wouldn't of been able to come, but I made sure I tried my hardest to come to every one..I've been really dedicated this whole season..From making sure nothing stopped me from missing a challenge, to staying up every night for the challenge post..I don't think many people thought I'd get this far either, I played good social wise, and strategy wise. I've worked really hard to get this far... I won the challenge before this and took Mat, and I guaranteed my own spot at getting to final 2. I think my over-all performance was good, and I hope others think the same.. I would LOVE to win so much, and I hope others think I deserve to win too. Most importantly this season has made me much closer to a lot of friends, and I'm very thankful for getting into this season. Thanks so much for a great season Frosty. :)"
Let us know who you think deserves to win by leaving a comment... Right now! Challenge 14: Recreating the Gangster Video! It's time for the last challenge of the season! 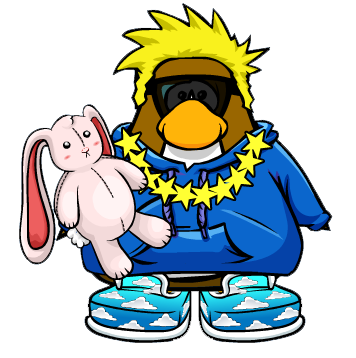 Remember that video we made way back in 2009 called "How to Become a Gangster on Club Penguin!"? It turned out to be my most successful video on Youtube, and it was a ton of fun to create. The two remaining competitors of Neighborhood Survival must direct, write and produce a sequel to this video! Can you handle that? A sequel can be pretty much anything, it just has to relate to the original somehow! You will need a group of actors/behind the scenes penguins to help you organize the video. You do not have to record it yourself, but you do have to be the one in charge of the production! 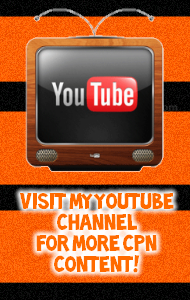 Make it original, make it clever and make it a Youtube sensation! Instead of posting the video on a random Youtube account, I will give you the password to my account. The winning video will be published on my Youtube channel. (The winner will receive full credit of course!) You have until Friday to complete this! The Sparkly Slaughterhouse Becomes the Victim! Bumbleface won the Neighborhood Survival challenge and has decided to take Matbolabc to the Final 2! No matter what happens, Neighborhood Survival has created friendships that will last a lifetime! Everyone is destined to leave this Club Penguin Island at some point. We will all have to go our separate ways, and many of us will never speak again... But wait, what about the memories? Do the fun times disappear from our thoughts? Will we forget the friends who accepted us? This moment and every other moment spent on Club Penguin will never be forgotten by any of us! "Everyone else is proud of me... Why aren't I proud of myself?" When you put so much heart and energy into a single activity, falling down becomes jumping off a cliff. Penny Mickey was an animal loving slaughterhouse throughout Neighborhood Survival! She had a passion that pushed her to the top of the charts in every competition. 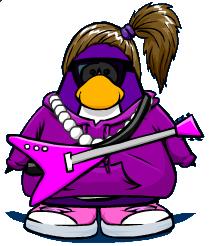 Penny claims to be an outcast in the real world, but online she is a popular queen! She needs to learn how to express herself outside of the computer and earn respect from her peers... Penny Mickey is sadly evicted from Neighborhood Survival! Any last words to our dear friend? Hey, remember me? Cough... The orange guy who goes to the gym... Cough! You guessed right, it's Frostylittle here typing for your entertainment! Every Frostyflake floating in my breakfast bowl of white milk can agree that evictions are brutal. 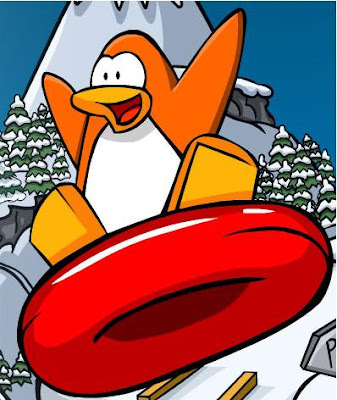 Does anyone enjoy being eliminated from Club Penguin's funnest event? Of Course not! Well, Frostylittle (That's me... Why do I need to tell you this information?) just figured out how to make things even worse. Directly after Friday night's challenge, the neighbor who won will cast their vote to kick someone out of the competition! This dramatic event will happen live in front of everyone who's hanging around the chat room. Yikes! It looks like someone from the MickeyFaceBolabc alliance will be packing their bags. Any last minute questions about the challenge? Challenge 12: Mickey Mouse In the Courtroom! A Court Room? Ding ding ding, you are correct! A Court Room is made up of 2 major "sides", Prosecution and Defense. In this case penguins across the world are suing Disney for ruining Club Penguin! Crazy right? Matbolabc will be defending Disney, and Penny Mickey will be acting as the Prosecution. Both penguins will be given 15 minutes to do whatever they want to prove their side is correct! (What would a lawyer do? Be creative!) Bumbleface will be the lone member of the jury. She will pay close attention during both presentations, decide the verdict and explain their reasoning in a sweet 5 minute speech! Whoever my entourage and I feels did the best job in their field wins the challenge! CLICK HERE FOR DETAILS ON THE TIME! P.S. The winner will be the only voter who kicks someone off... Oh man! The Toast Is Burnt To Crisp! Is the job of the host to do whatever the contestants want? It seems like the neighbors are getting too stressed out for a good time. 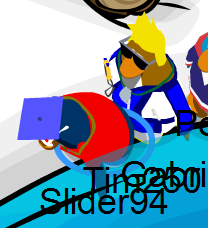 Smiling on Club Penguin for a family picture doesn't mean your really having fun! Neighborhood Survival is about meeting new friends and escaping from the adversity of the real world... Not screaming at your host because things didn't go your way! Penny Mickey once again (solely) won a challenge fairly and squarely, for the second time this season. 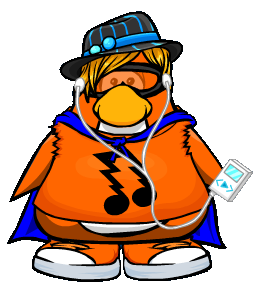 Im 13 and am very random/hyper/moody at times (most happy) I've played Club Penguin since pretty much the start." Any last words to sir Tim250, lord of the Spiffy land? On September 11th at 9:45 AM in New York city, a photographer by the name of Richard Drew captured a picture of a man. The mysterious man was trapped on an upper floor in the North Tower of the World Trade Center. This particular section of the North Tower was covered in poisonous smoke and deadly fire. Instead of dying in the smoke and fire, he decided to jump. The man is identified as Jonathan Briley, an employee who worked in a top-floor restaurant. Along with many others, Jonathan took his own life to prove a point. He wanted to prove to the terrorists who attacked America that he still has strength. Instead of letting the terrorists burn him to death, Jonathan wanted to end his life on his own will. On the morning of 9/11, Hijackers seized 4 plans from Boston that were on route to Los Angeles. At 8:46 AM, Flight 11 crashed into the North Tower of the World Trade Center. At 9:03 AM, Flight 173 crashed into the South Tower of the World Trade Center. At 9:37 AM, Flight 77 crashed into the Pentagon located in Virginia. At 10:03 AM, Flight 93 crashes south of Pittsburgh. The hijackers and passengers battled in the cockpit, ultimately crashing the plane in a deserted area. The word hero is an overused word nowadays. 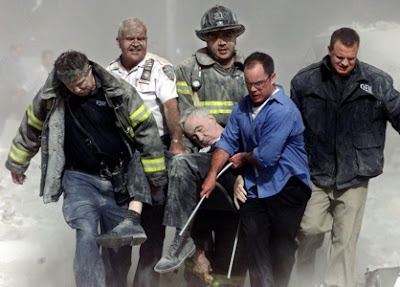 The everyday people who battled for America on 9/11, are real heroes! 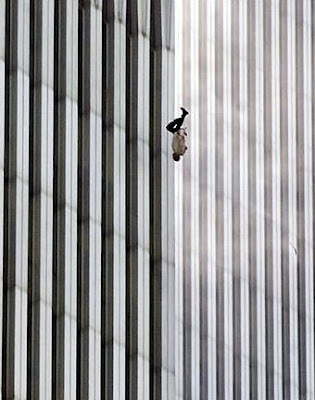 That falling man is stronger than any comic book superhero to date. The firefighters who ran through smoke to save the lives of civilians are a true justice league. The passengers who fought with the hijackers and gave their lives on Flight 93 are the ones to look up to. 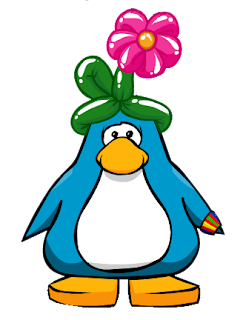 Silly Club Penguin chat room brawls and mean tweets are a speck of smoke compared to what happened on September 11th. We should appreciate the fact that we are alive today! As a community, Frostylittle (That's me!) believes that we should focus more attention on the bigger problems of the Earth. Through the power of the internet, penguins can get together to change the world! What do you remember about 9/11? How did it effect you? Challenge 12: Hide and Go Seek! Aw man, you found me! 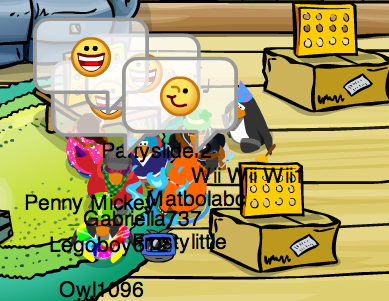 Club Penguin is the perfect place to hold an old fashion game of Hide and Go Seek. 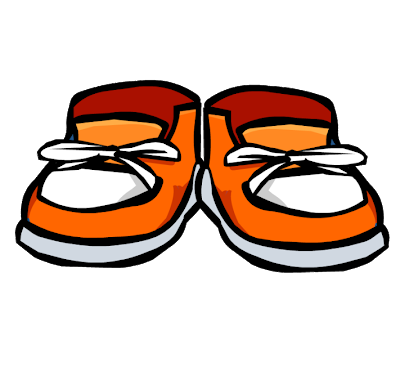 In this game, 3 penguins will have 1 minute to find the perfect hiding place somehow on the island. 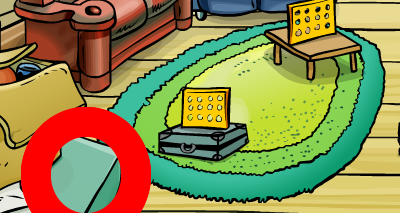 (Any igloo, members only area and the box the dimension are not allowed!) Once the time is up, the seeker will have 5 minutes to find the three penguins. If that seeker finds everyone they move onto the next round, but if they fail they are out! There will be a total of three whole rounds, and the seeker will change each time! During the last round if the seeker can not find the hider, then the hider automatically wins. You can not switch hiding sports when the seeker is looking for you, and you can not run when the seeker finds you! In order for the challenge to work, all the competitors must delete each other from their buddy list. 1... 2... 3... Ready or not here we come! 47 Times 2 Equals Spiffy Power! Neighborhood Survival's top five raced and argued their way around Ice Palace's icy route! "I'm friendly happy and supportive I think most people around here know me... Well I know them and it's a little creepy if they don't know me cause then I look like a creeper... Ok I'm babbling!" The founder of the Spiffy community is knocked out of Neighborhood Survival! Slider94 played the game like a Sour Patch kid, sweet and chewy. (Warning: Sour Patch Kids are unhealthy and yucky!) Slider was a magnificent competitor, and he even showed up for every challenge to this date! Thanks for being such a dedicated neighbor and friend, you were one of the best. Any last words to the last returner of Neighborhood Survival? 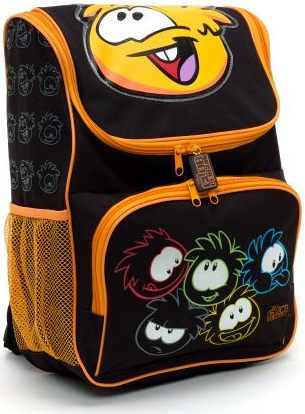 Aw man... School is back in town! Three months ago, Club Penguin Neighborhood resurrected from the dead and penguins from around the world splashed into Season 2 of Neighborhood Survival. This summer went by as fast as Sega's Sonic the Hedgehog! Frostylittle (That's me!) 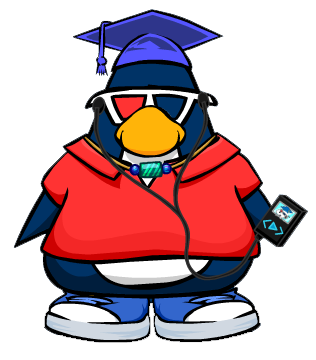 had a fantastic time meeting new friends and hosting this Club Penguin Game Show. Too bad our bright summer days have come to an end! Ready to learn a little more about our world? Most penguins (Ahem, I mean children!) despise the idea of sitting around in a dusty classroom, but juicing up your brain is a good thing! Good grades lead to a good college, and studying at a good college leads to success. What do I mean by success? Money, cha-ching! What was your favorite summer moment? Challenge 11: Race to Ski Hill! Click here for Timezone details! P.S. I will need a lot of help during this challenge, so if your willing to volunteer let me know! The Wii Remote Ran Out of Batteries! Kick it... Get a goal... Wrong way... Wahoo, Spiffy power! Ice Palace was rocked by a group of competitive soccer players! The five remaining neighbors (Minus Tim250 and plus Andy the Lego!) pushed, punched and pounced around a green Soccer Field. The Gangsta Stalkers kicked their way to the finish line with a total of 30 goals! Everyone should pat themselves on the back for a great game of old school soccer. "Gotta go play some AFL!" 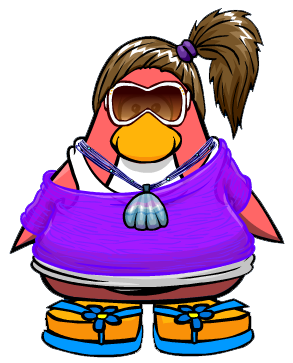 Penny Mickey has voted Wiiwiiwii1 out of Neighborhood Survival! Wii (To the third power!) was a fantastic competitor who showed so much dedication to Season 2. Mr. 1 dreamed of winning a Club Penguin Gameshow for most of his CP life... Hang in there buddy! Any last words to our breathing Nintendo game system?